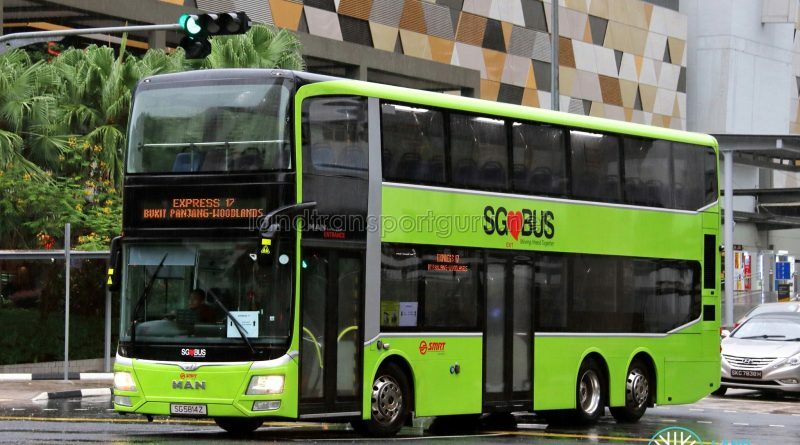 Express 17, or the Woodlands—Bukit Panjang Shuttle Bus Service, is an ad-hoc unidirectional route connecting Woodlands and Bukit Panjang stations with no intermediate stops. The route will be activated to operate between Saturday 18 May 2019 – Monday 20 May 2019 during the 3 Day Closure on North South Line for Canberra Track Works. The Shuttle Bus Service will only operate from Saturday 18 May 2019 to Monday 20 May 2019 during the 3 Day Closure on North South Line for Canberra Track Works. ^ – Revised operating hours for Bukit Panjang LRT from 13 January 2019 to enable SMRT to intensify and accelerate maintenance and system renewal works. 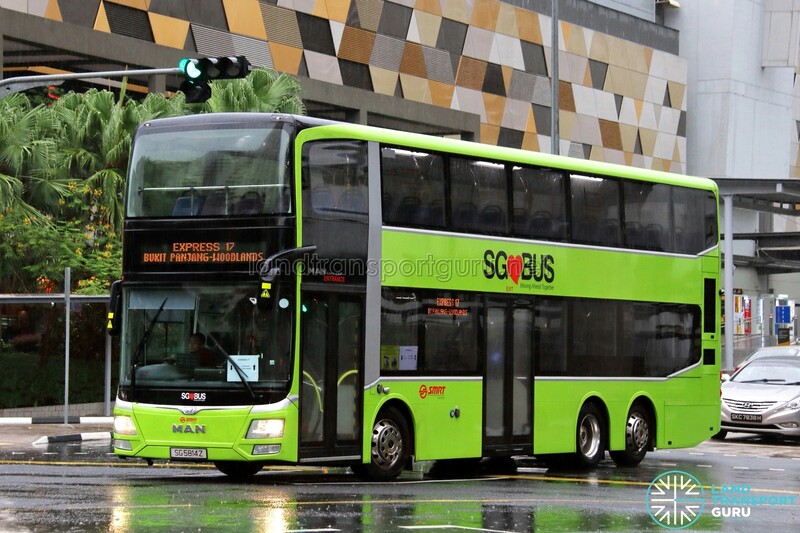 The route is one of two Shuttle Bus Services operating during periods of planned closure in May 2019 for Canberra Track Works, the other route being Shuttle 10: Woodlands—Yishun / Ang Mo Kio.